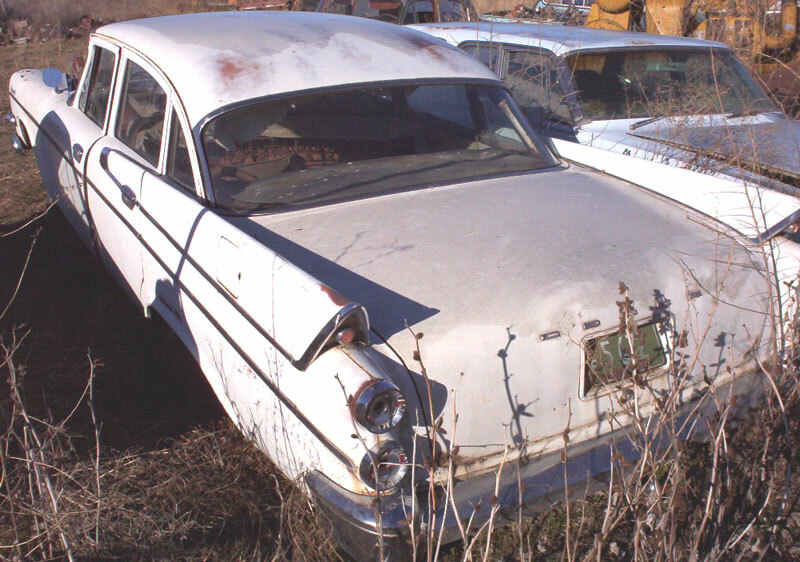 This white 1957 Dodge Coronet 4 door sedan is a very straight, solid project car ready for a complete restoration. The body is very straight and complete, except the right front fender is dented but it is repairable. The grill and bumpers are good. All the exterior trim is there. All the curved glass is good. The interior is all there. 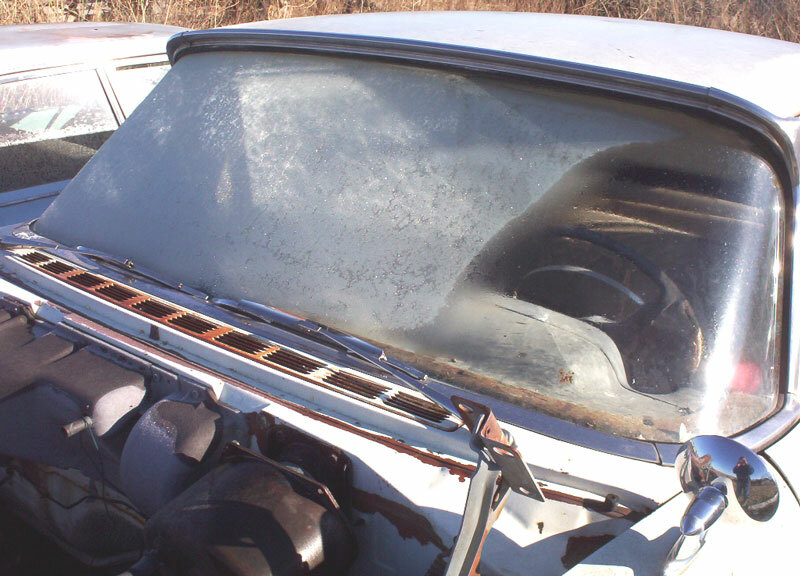 The engine, transmission and hood are gone. 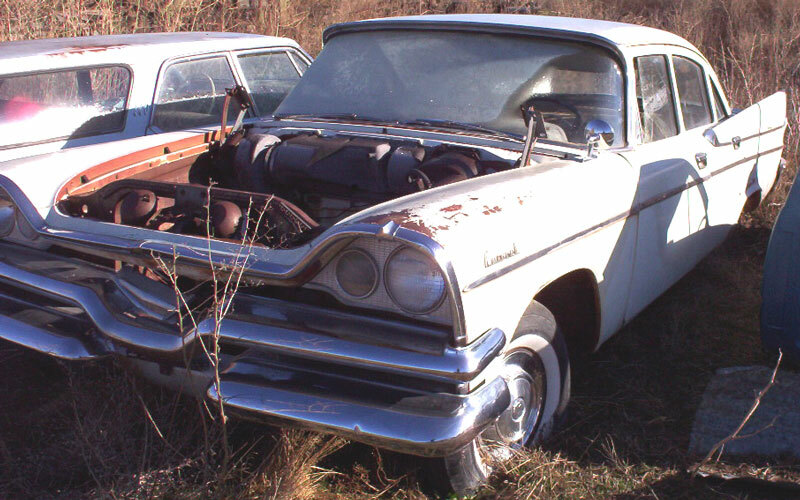 This is a very solid and complete car and these 4 door sedans are getting popular as family car restorations. 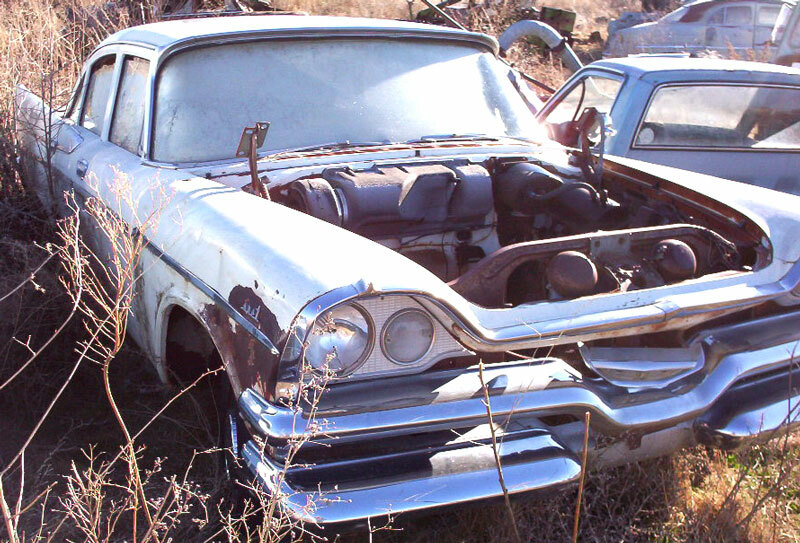 Please call (406) 318-0270 for details about this restorable classic 57 Coronet sedan project car. For sale $3,000.